and Goddess Kissyo provide local residents with roasted beans for setsubun rituals. It was very warm Setsubun day this year, so everybody was sweating. 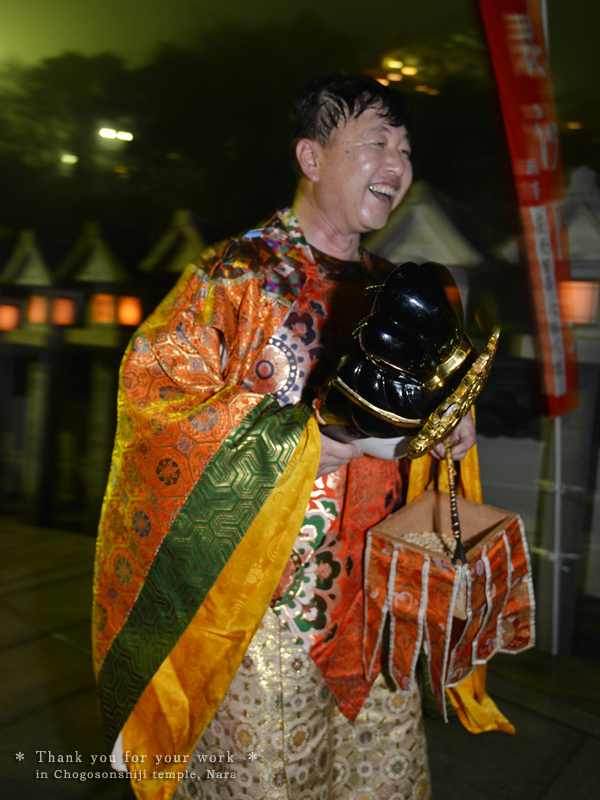 Taken is Setsubun rituals at Chogosonshiji-Temple.